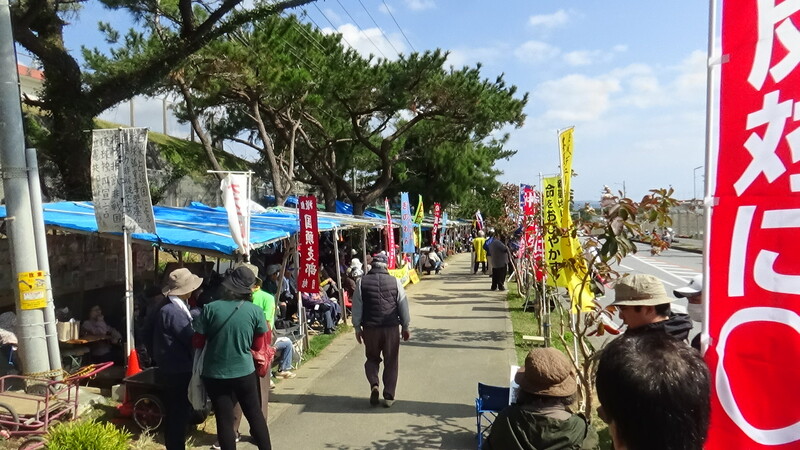 For Okinawa's pride,for human rights, for environment, for basic safety, Join us in opposing this U.S. base boondoggle. At 9:00am, 20 people dressed in rain gear resumed the sit-in in a drizzle, and moved to the Tent when the rain got heavier. The sit-in was adjourned at 10:00am to attend the second time hearing at the Supreme Court in Naha from 1:30pm for the case of 2 persons (Yamashiro Hiroji and Inaba Hiroshi). They were illegally arrested namely due to obstruction of business by force. Approximately 200 people gathered in front of the Supreme Court to support the two. At the hearing, a scholar on the constitution laws as a witness, reasoned out why the guilty verdict by the lower court was illegal. The act of placing blocks in front of the Gate was merely the defendants’ way of expressing themselves in public and was not a criminal offence. He cited many precedents in favor of his reasoning. The attendants applauded. The judgement will be delivered on the 13th of December. Due to a thunderstorm, the protest on the sea was cancelled. 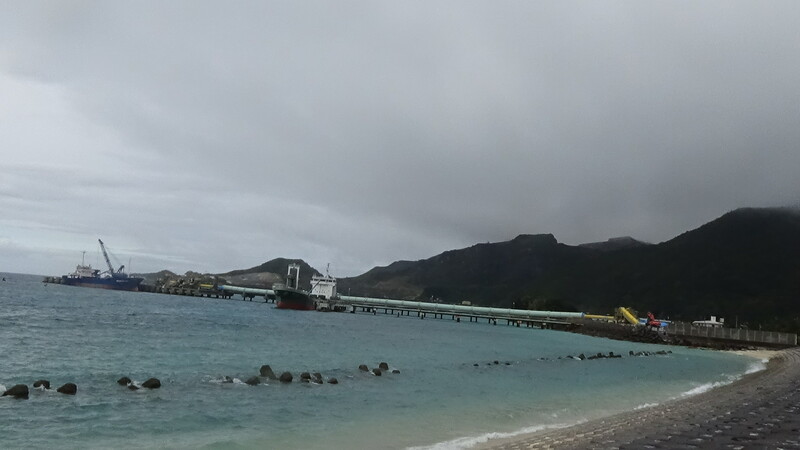 In the afternoon, it was said that 4 vessels came into Ohura Bay. However, there is no way that the construction works can be resumed. If they came in just to show off their presence, that is a waste of our tax money on fuel for nothing. 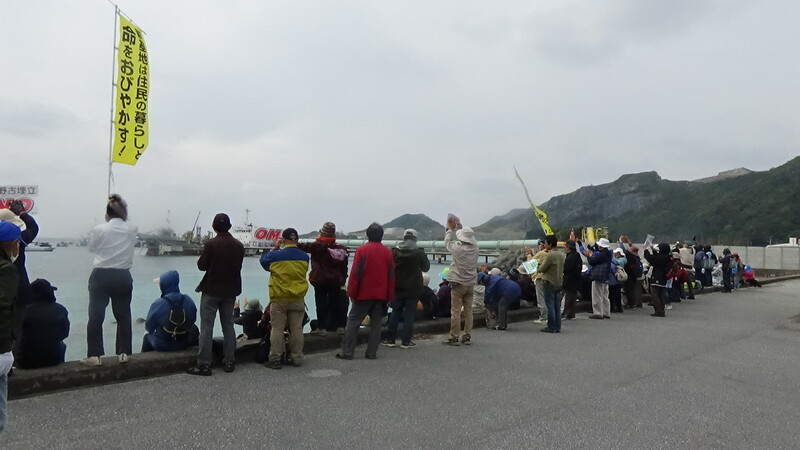 Feb 2 (Sat): “The plan of a new military base will inevitably fail,” said Mr. Tsuyoshi Kitaueda at the rally on the first Saturday.